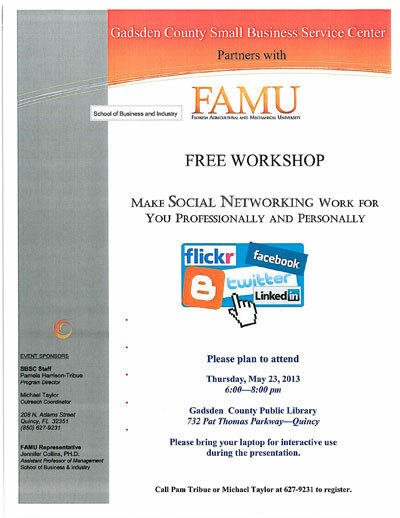 This FREE workshop will be held at the Gadsden County Public Library located at 732 Pat Thomas Parkway in Quincy, FL 32351 from 6:00pm-8:00pm. BRING A LAPTOP with you as this FREE workshop is interactive. Contact Pam Tribue or Michael Taylor at (850) 627-9231 to get registered. Havana has been steeped in history since the town was founded in 1906. 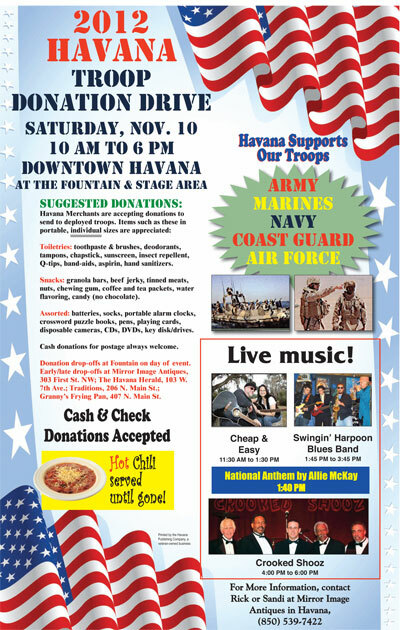 Celebrating “Florida’s Friendliest Town” is the theme of this family-friendly, all-day festival. Arts, crafts, and food vendors line the downtown streets and there are hayrides, pony rides, an obstacle course, and more to entertain the young and the young-at-heart. All shops and cafes are open for your shopping and dining enjoyment! 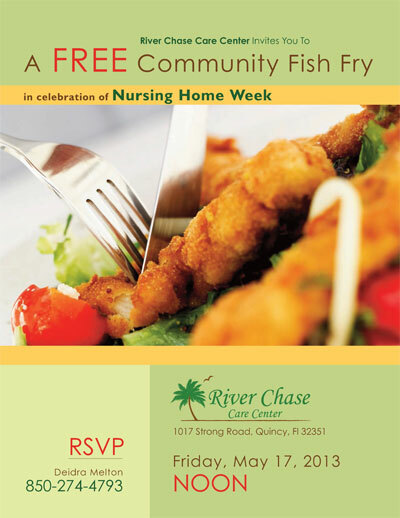 Riverchase Care Center invites you to a free community fish fry in celebration of Nursing Home Week. This event is free and will be held at Riverchase Care Center (1017 Strong Rd Quincy, FL) on May 17, 2013 starting at noon. For more information, please contact Deidra Mellon at 850-274-4793.